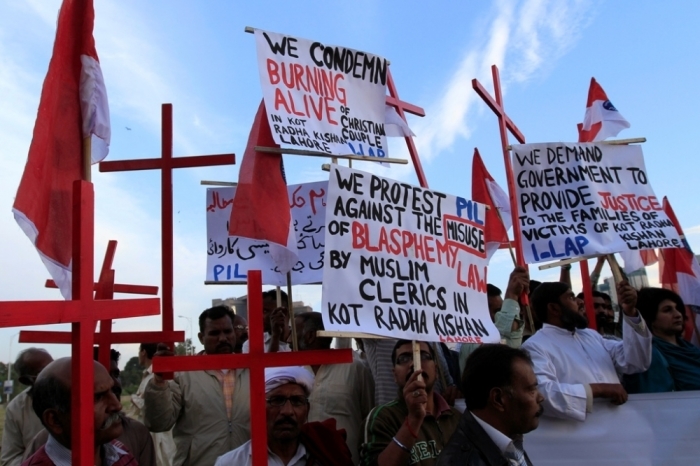 An official with the Church of Pakistan has confirmed that a Christian couple was beaten and burned alive over a false accusation made by their employer who claimed they ripped pages out of a Quran and threw them into a brick kiln furnace. 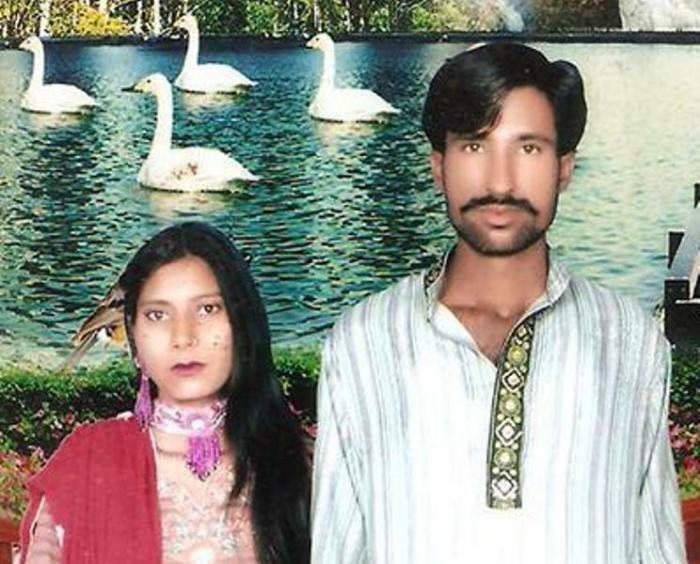 Raheel Sharoon, development officer of the Diocese of Raiwind, said Thursday that Shehzad Masih and his wife, Shamah — who were beaten in the streets Tuesday by a Muslim mob of 1,500 to 1,600 that tore off their clothes beat them before throwning them into a furnace — were killed because their employer said they owed him money, and he started the rumor to exact revenge. "The real story is that the owner of brick kiln, Yousaf Gujjar, lent some money to the couple and when he asked for the money to be returned there was a confrontation since a majority of brick kiln workers cannot return their loans in cash, but do it by working at the brick kiln. After which he started spreading rumors of desecration of the Quran," Sharoon said, according to the Episcopal News Service. "On Tuesday, a mob of 1500-1600 people, from the Muslim religious community of nearby villages, gathered near the village of Clarkabad. This mob was gathered on the pretext that a Christian couple belonging to the said village and working as brick kiln workers had allegedly desecrated the pages of Quran by burning them in the brick kiln furnace," he continued. "The couple was pulled out of their house. ... After that, the mob gathered around the brick kiln where Shehzad and Shamaa used to work and where the alleged desecration took place. They tore away the clothes of Shehzad and Shamaa, and paraded them naked around the brick kiln twice before attacking them and beating them to near death. "After thoroughly beating both the victims, they threw them in the furnace of the brick kiln and burned them alive. When the family of the victims went to claim the dead bodies, all they found were few bones. ..."
The Christian Post reported last week that the rumor had been started by the owner of the brick kiln who was retaliating against the couple over a financial disagreement. According to a relative, the couple not only left behind three children, but Shamah was expecting a fourth child when they were killed. Open Doors USA, a Christian persecution watchdog group, has listed Pakistan as No. 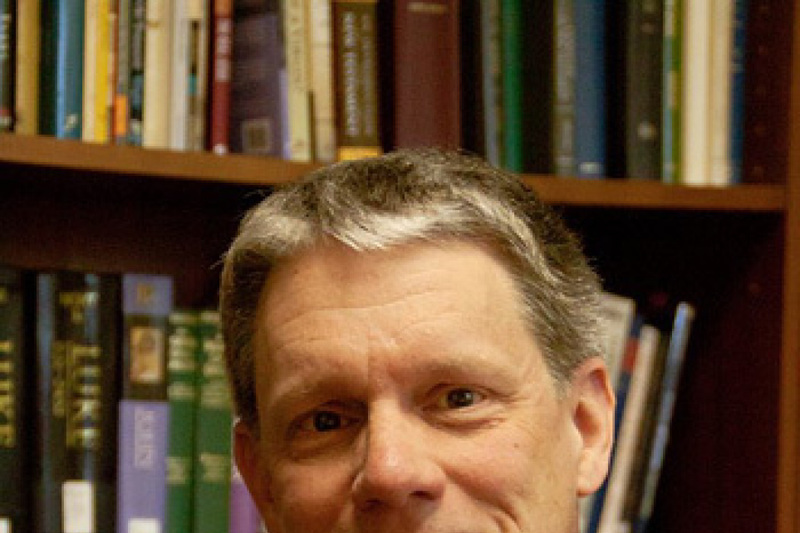 8 in its list of worst persecutors of Christians list. Last year, they were ranked at No. 14. "The notorious blasphemy laws continue to have devastating consequences for minorities, including Christians. Women and girls from minority groups are particularly vulnerable, and sexual assaults against underage Christian girls by Muslim men continue to be reported," stated Open Doors. "In September 2013, a twin bomb attack on Anglican All Saints Church in Peshawar left 89 people dead." In August, U.S. Commission on International Religious Freedom released a report documenting the many acts of violence against religious minorities in the Islamic Republic. USCIRF found numerous attacks against not only Christians, but non-Sunni Muslim minority communities including Shiite and Ahmadis. no effective Pakistani government response at federal, provincial, or local levels," noted USCIRF. "While the attacks occurred in the context of general episodes of violence confronting the entire country, the overall climate for religious freedom continues to deteriorate."